Have a phobia? It could be in your DNA! Dentistry is deep rooted in our history dating all the back to 7000 BC – no pun intended. The history of dental health was about cure not care with not much in-between other than extraction and some drills that we don’t dare think about. Dental health wasn’t something that was regarded of great importance even though it brought great suffering, I mean, anaesthetic was only invented in 1846. Ouch. With no such thing as pain-free dentistry, botch-ups and no infection control, this meant that for hundreds of years dentistry for our ancestors was a bloodied, agonising suffering, with a chance of death (not putting in lightly). In comparison to dentistry today, ancient dentistry is not in any way the same ‘practice’. Thank God. But something that is the same or can be the same is the fear associated with going to the dentist. A Nature Neuroscience study has shown that it is possible for some information to be inherited biologically through chemical changes in our DNA. This would suggest that ancestral experience before conception can later influence our adult behaviour. 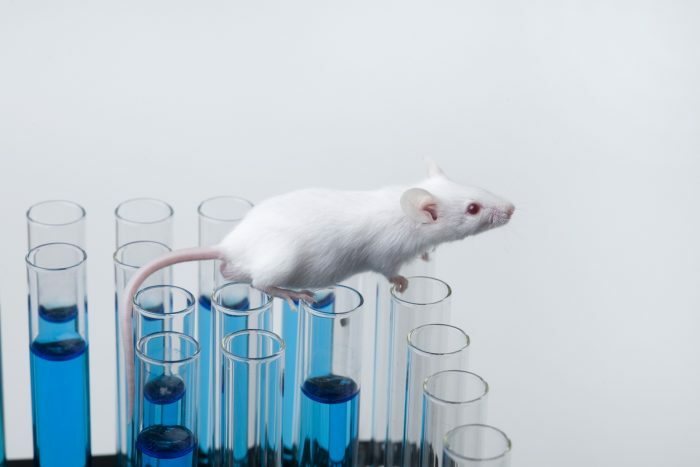 The team at the Emory University School of medicine, in the USA, conducted an animal study using mice. The mice were ‘trained’ to fear a smell similar to cherry blossom. The team investigated what was happening to the cells during fertilisation. They discovered that a section of DNA responsible for sensitivity was made more active in the mice’s sperm. They found that both the mice’s offspring and their offspring were extremely ‘fearful’ or ‘trepidations’ about the cherry blossoms scent and would try and avoid the scent, despite not being trained or experienced a reason to be fearful of it in their lives. They also found that there were changes in the brain structure which concludes evidence of ‘transgenerational epigenetic inheritance’. To you and me this means phobias or fears based on an external experience, can be internally passed down through genetics to affect later generations behaviour without them experience anything similar in their lifetimes. 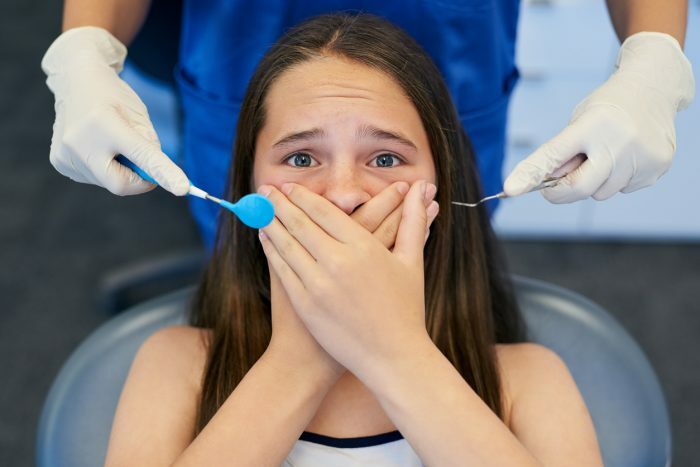 This means that because there is such a traumatic history associated with dentistry, these fears or bad experiences could be passed down through genetics. This could be why many people share the same phobia associated with dentistry today. These phobias, anxious feelings and very real physical symptoms could, in fact, be rational in the sense that they are a ‘family affair’, rooted in your DNA which have caused these fears. SO, WHAT CAN WE DO ABOUT DENTAL ANXIETY TODAY? We talk about dentistry today. Dentistry today is nothing like it was in the past; your Barbour is not doubling up as your back street dental surgeon. Dentistry is a trained and respected, regulated, profession. 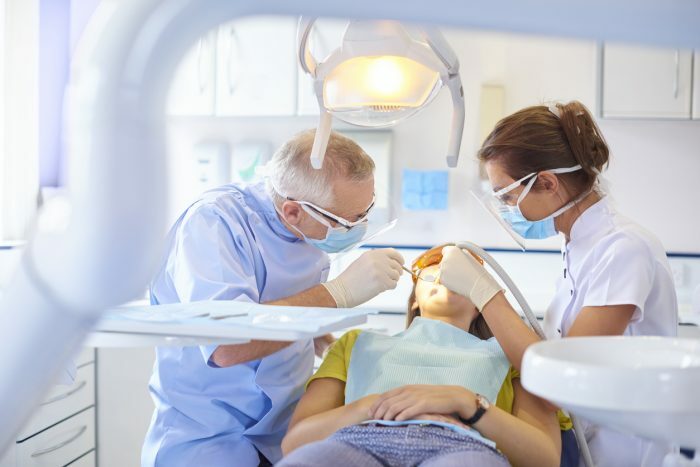 Dental care is now about patient-focused care; which means an exceptional level of care, patient comfort, expert treatment and pain-free procedures. Dental health, as well as dental care, is improving every day, not only is it about cure but it is also about prevention. Caring for your teeth and maintaining good oral health has become the forefront of dentistry. 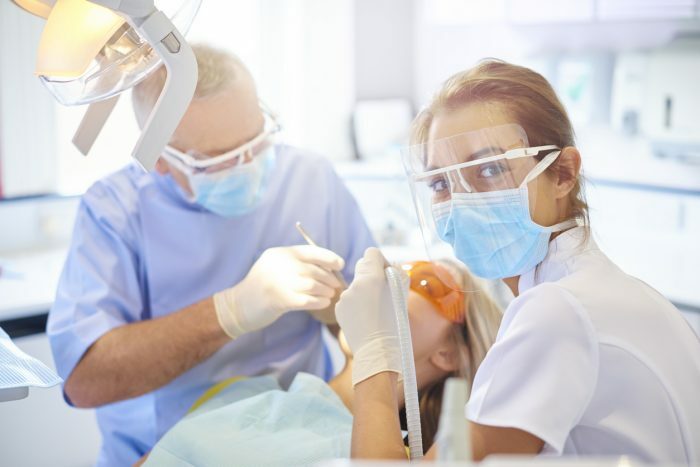 Many dental health centres recognise patient’s fears and phobias and try to combat them and relieve them through additional services such as I.V. sedation dentistry. If you are looking for a fantastic, highly trained and compassionate team then look no further than the Brighton Implant Clinic. The Brighton Implant Clinic is an award-winning dental health clinic, renowned for their cosmetic restorations and achievements in dental implant cases. Dr Siva and his team promise their patients first-class dentistry with first-class patient care. Be that in routine procedures, cosmetic restorations or complex cases in dental implantology.